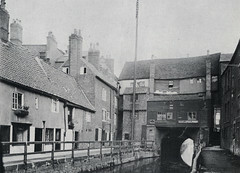 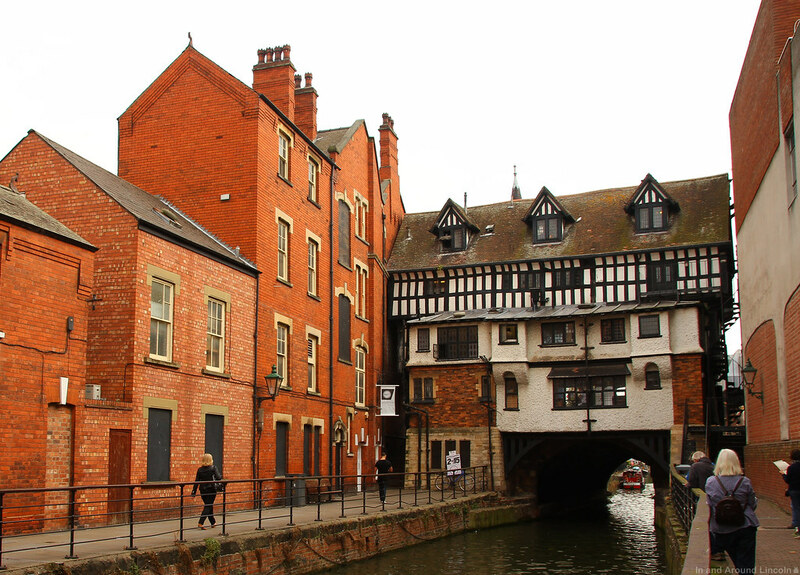 The High Bridge over the River Witham showing the back of the houses before restoration in 1901-1902 and is now a tea room and shops. 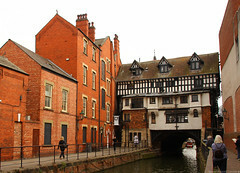 The High Bridge is the oldest bridge in the UK which still has buildings on it, built in 1160. 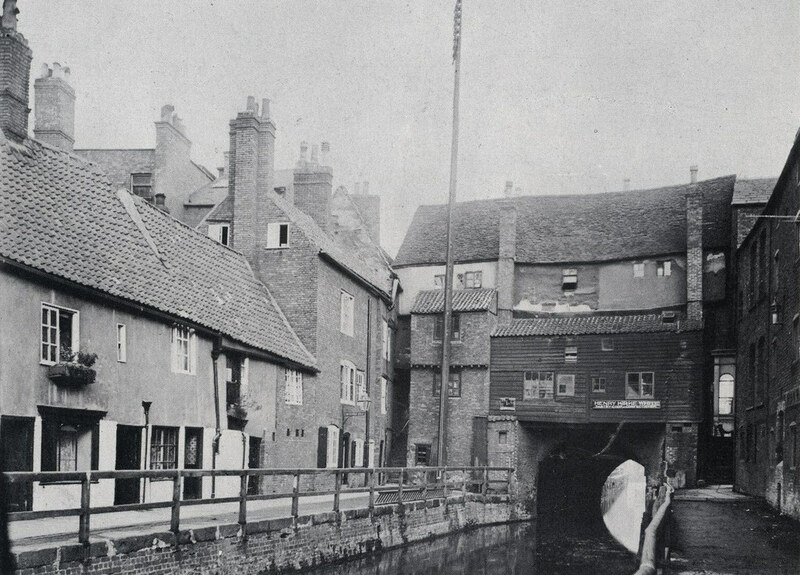 Old photo from Lincoln As It Was by Laurence Elvin, 1974.